The Panama Canal (Spanish: Canal de Panamá) is an artificial 82 km (51 mi) waterway in Panama that connects the Atlantic Ocean with the Pacific Ocean. The canal cuts across the Isthmus of Panama and is a conduit for maritime trade. Canal locks are at each end to lift ships up to Gatun Lake, an artificial lake created to reduce the amount of excavation work required for the canal, 26 m (85 ft) above sea level, and then lower the ships at the other end. The original locks are 34 m (110 ft) wide. A third, wider lane of locks was constructed between September 2007 and May 2016. The expanded canal began commercial operation on June 26, 2016. The new locks allow transit of larger, post-Panamax ships, capable of handling more cargo. France began work on the canal in 1881, but stopped due to engineering problems and a high worker mortality rate. The United States took over the project in 1904 and opened the canal on August 15, 1914. One of the largest and most difficult engineering projects ever undertaken, the Panama Canal shortcut greatly reduced the time for ships to travel between the Atlantic and Pacific Oceans, enabling them to avoid the lengthy, hazardous Cape Horn route around the southernmost tip of South America via the Drake Passage or Strait of Magellan. Colombia, France, and later the United States controlled the territory surrounding the canal during construction. The US continued to control the canal and surrounding Panama Canal Zone until the 1977 Torrijos–Carter Treaties provided for handover to Panama. 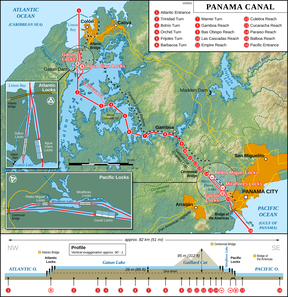 After a period of joint American–Panamanian control, in 1999, the canal was taken over by the Panamanian government. It is now managed and operated by the government-owned Panama Canal Authority. Annual traffic has risen from about 1,000 ships in 1914, when the canal opened, to 14,702 vessels in 2008, for a total of 333.7 million Panama Canal/Universal Measurement System (PC/UMS) tons. By 2012, more than 815,000 vessels had passed through the canal. It takes 11.38 hours to pass through the Panama Canal. The American Society of Civil Engineers has ranked the Panama Canal one of the seven wonders of the modern world. The earliest mention of a canal across the Isthmus of Panama occurred in 1534, when Charles V, Holy Roman Emperor and King of Spain, ordered a survey for a route through the Americas that would ease the voyage for ships traveling between Spain and Peru. Such a route would have given the Spanish a military advantage over the Portuguese. In 1668, the English physician and philosopher Sir Thomas Browne speculated in his encyclopaedic endeavour Pseudodoxia Epidemica - "some Isthmus have been eat through by the Sea, and others cut by the spade: And if policy would permit, that of Panama in America were most worthy the attempt: it being but few miles over, and would open a shorter cut unto the East Indies and China". In 1788, American Thomas Jefferson, then Minister to France, suggested that the Spanish should build the canal since it would be a less treacherous route for ships than going around the southern tip of South America, and that tropical ocean currents would naturally widen the canal thereafter. During an expedition from 1788 to 1793, Alessandro Malaspina outlined plans for its construction. Given the strategic location of Panama and the potential offered by its narrow isthmus separating two great oceans, other trade links in the area were attempted over the years. The ill-fated Darien scheme was launched by the Kingdom of Scotland in 1698 to set up an overland trade route. Generally inhospitable conditions thwarted the effort and it was abandoned in April 1700. Numerous canals were built in other countries in the late 18th and early 19th centuries. The success of the Erie Canal in the United States in the 1820s and the collapse of the Spanish Empire in Latin America led to a surge of American interest in building an inter-oceanic canal. Beginning in 1826, US officials began negotiations with Gran Colombia (present-day Colombia, Venezuela, Ecuador, and Panama), hoping to gain a concession for the building of a canal. Jealous of their newly obtained independence and fearing that they would be dominated by an American presence, the president Simón Bolívar and New Granada officials declined American offers. The new nation was politically unstable, and Panama rebelled several times during the 19th century. Another effort was made in 1843. According to the New York Daily Tribune, August 24, 1843, a contract was entered into by Barings of London and the Republic of New Granada for the construction of a canal across the Isthmus of Darien (Isthmus of Panama). They referred to it as the Atlantic and Pacific Canal, and it was a wholly British endeavor. It was expected to be completed in five years, but the plan was never carried out. At nearly the same time, other ideas were floated, including a canal (and/or a railroad) across Mexico's Isthmus of Tehuantepec. Nothing came of that plan, either. In 1846, the Mallarino–Bidlack Treaty, negotiated between the US and New Granada, granted the United States transit rights and the right to intervene militarily in the isthmus. In 1848, the discovery of gold in California, on the West Coast of the United States, created great interest in a crossing between the Atlantic and Pacific oceans. William H. Aspinwall, the man who won the federal subsidy for the building and operating the Pacific mail steamships at around the same time, benefited from this discovery. Aspinwall's route included steamship legs from New York City to Panama and from Panama to California, with an overland portage through Panama. The route between California and Panama was soon frequently traveled, as it provided one of the fastest links between San Francisco, California, and the East Coast cities, about 40 days' transit in total. Nearly all the gold that was shipped out of California went by the fast Panama route. Several new and larger paddle steamers were soon plying this new route, including unsubsidized steamship lines owned by Cornelius Vanderbilt that required an overland route through Nicaragua. The United States initiated construction in 1850 of the Panama Railroad (now called the Panama Railway) to cross the isthmus and it opened in 1855. This overland link became a vital piece of Western Hemisphere infrastructure, greatly facilitating trade and largely determining the later canal route, which was made parallel to it. An all-water route between the oceans was still seen as the ideal solution, and in 1855 William Kennish, a Manx-born engineer working for the United States government, surveyed the isthmus and issued a report on a route for a proposed Panama Canal. His report was published as a book entitled The Practicability and Importance of a Ship Canal to Connect the Atlantic and Pacific Oceans. In 1877, Armand Reclus, an officer with the French Navy, and Lucien Napoléon Bonaparte Wyse, both engineers, surveyed the route and published a French proposal for a canal. French success in building the Suez Canal, while a lengthy project, encouraged planning for one to cross the isthmus. The first attempt to construct a canal through what was then Colombia's province of Panama began on January 1, 1881. The project was inspired by the diplomat Ferdinand de Lesseps, who was able to raise considerable funds in France as a result of the huge profits generated by his successful construction of the Suez Canal. Although the Panama Canal needed to be only 40 percent as long as the Suez Canal, it was much more of an engineering challenge due to the combination of tropical rain forests, debilitating climate, the need for canal locks, and the lack of any ancient route to follow. De Lesseps wanted a sea-level canal (like the Suez), but he visited the site only a few times, during the dry season which lasts only four months of the year. His men were totally unprepared for the rainy season, during which the Chagres River, where the canal started, became a raging torrent, rising up to 10 m (35 ft). The dense jungle was alive with venomous snakes, insects, and spiders, but the worst challenges were yellow fever, malaria, and other tropical diseases, which killed thousands of workers; by 1884, the death rate was over 200 per month. Public health measures were ineffective because the role of the mosquito as a disease vector was then unknown. Conditions were downplayed in France to avoid recruitment problems, but the high mortality rate made it difficult to maintain an experienced workforce. 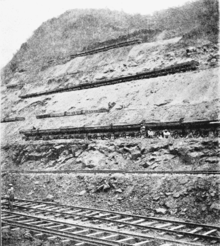 Workers had to continually widen the main cut through the mountain at Culebra and reduce the angles of the slopes to minimize landslides into the canal. Steam shovels were used in the construction of the canal, purchased from Bay City Industrial Works, a business owned by William L. Clements in Bay City, Michigan. Bucket chain excavators manufactured by both Alphonse Couvreux and Wehyer & Richemond and Buette were also used. Other mechanical and electrical equipment was limited in capabilities, and steel equipment rusted rapidly in the rainy climate. In France, de Lesseps kept the investment and supply of workers flowing long after it was obvious that the targets were not being met, but eventually the money ran out. 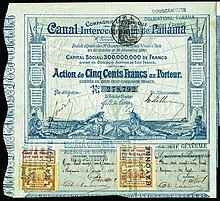 The French effort went bankrupt in 1889 after reportedly spending US$287,000,000; an estimated 22,000 men died from disease and accidents, and the savings of 800,000 investors were lost. Work was suspended on May 15, and in the ensuing scandal, known as the Panama affair, some of those deemed responsible were prosecuted, including Gustave Eiffel. De Lesseps and his son Charles were found guilty of misappropriation of funds and sentenced to five years' imprisonment. This sentence was later overturned, and the father, at age 88, was never imprisoned. In 1894, a second French company, the Compagnie Nouvelle du Canal de Panama, was created to take over the project. A minimal workforce of a few thousand people was employed primarily to comply with the terms of the Colombian Panama Canal concession, to run the Panama Railroad, and to maintain the existing excavation and equipment in saleable condition. The company sought a buyer for these assets, with an asking price of US$109,000,000. In the meantime, they continued with enough activity to maintain their franchise. Phillipe Bunau-Varilla, the French manager of the New Panama Canal Company, eventually managed to persuade de Lesseps that a lock-and-lake canal was more realistic than a sea-level canal. The US's intentions to influence the area (especially the Panama Canal construction and control) led to the separation of Panama from Colombia in 1903. At this time, the President and the Senate of the United States were interested in establishing a canal across the isthmus, with some favoring a canal across Nicaragua and others advocating the purchase of the French interests in Panama. Bunau-Varilla, who was seeking American involvement, asked for $100 million, but accepted $40 million in the face of the Nicaraguan option. In June 1902, the US Senate voted in favor of the Spooner Act, to pursue the Panamanian option, provided the necessary rights could be obtained. On January 22, 1903, the Hay–Herrán Treaty was signed by United States Secretary of State John M. Hay and Colombian Chargé Dr. Tomás Herrán. For $10 million and an annual payment, it would have granted the United States a renewable lease in perpetuity from Colombia on the land proposed for the canal. The treaty was ratified by the US Senate on March 14, 1903, but the Senate of Colombia did not ratify it. Bunau-Varilla told President Theodore Roosevelt and Hay of a possible revolt by Panamanian rebels who aimed to separate from Colombia, and hoped that the United States would support the rebels with US troops and money. Roosevelt changed tactics, based in part on the Mallarino–Bidlack Treaty of 1846, and actively supported the separation of Panama from Colombia. Shortly after recognizing Panama, he signed a treaty with the new Panamanian government under terms similar to the Hay–Herrán Treaty. On November 2, 1903, US warships blocked sea lanes against possible Colombian troop movements en route to put down the Panama rebellion. Panama declared independence on November 3, 1903. The United States quickly recognized the new nation. On November 6, 1903, Philippe Bunau-Varilla, as Panama's ambassador to the United States, signed the Hay–Bunau-Varilla Treaty, granting rights to the United States to build and indefinitely administer the Panama Canal Zone and its defenses. This is sometimes misinterpreted as the "99-year lease" because of misleading wording included in article 22 of the agreement. Almost immediately, the treaty was condemned by many Panamanians as an infringement on their country's new national sovereignty. This would later become a contentious diplomatic issue among Colombia, Panama, and the United States. President Roosevelt famously stated, "I took the Isthmus, started the canal and then left Congress not to debate the canal, but to debate me." Several parties in the United States called this an act of war on Colombia: The New York Times described the support given by the United States to Bunau-Varilla as an "act of sordid conquest." The New York Evening Post called it a "vulgar and mercenary venture." The US maneuvers are often cited as the classic example of US gunboat diplomacy in Latin America, and the best illustration of what Roosevelt meant by the old African adage, "Speak softly and carry a big stick [and] you will go far." After the revolution in 1903, the Republic of Panama became a US protectorate until 1939. In 1904, the United States purchased the French equipment and excavations, including the Panama Railroad, for US$40 million, of which $30 million related to excavations completed, primarily in the Gaillard Cut (then called the Culebra Cut), valued at about $1.00 per cubic yard. The United States also paid the new country of Panama $10 million and a $250,000 payment each following year. In 1921, Colombia and the United States entered into the Thomson–Urrutia Treaty, in which the United States agreed to pay Colombia $25 million: $5 million upon ratification, and four-$5 million annual payments, and grant Colombia special privileges in the Canal Zone. In return, Colombia recognized Panama as an independent nation. The US formally took control of the canal property on May 4, 1904, inheriting from the French a depleted workforce and a vast jumble of buildings, infrastructure, and equipment, much of it in poor condition. A US government commission, the Isthmian Canal Commission (ICC), was established to oversee construction; it was given control of the Panama Canal Zone, over which the United States exercised sovereignty. The commission reported directly to Secretary of War William Howard Taft and was directed to avoid the inefficiency and corruption that had plagued the French 15 years earlier. On May 6, 1904, President Theodore Roosevelt appointed John Findley Wallace, formerly chief engineer and finally general manager of the Illinois Central Railroad, as chief engineer of the Panama Canal Project. Overwhelmed by the disease-plagued country and forced to use often dilapidated French infrastructure and equipment, as well as being frustrated by the overly bureaucratic ICC, Wallace resigned abruptly in June 1905. He was succeeded by John Frank Stevens, a self-educated engineer who had built the Great Northern Railroad. Stevens was not a member of the ICC; he increasingly viewed its bureaucracy as a serious hindrance, bypassing the commission and sending requests and demands directly to the Roosevelt administration in Washington, DC. One of Stevens' first achievements in Panama was in building and rebuilding the housing, cafeterias, hotels, water systems, repair shops, warehouses, and other infrastructure needed by the thousands of incoming workers. Stevens began the recruitment effort to entice thousands of workers from the United States and other areas to come to the Canal Zone to work, and tried to provide accommodation in which the incoming workers could work and live in reasonable safety and comfort. He also re-established and enlarged the railway, which was to prove crucial in transporting millions of tons of soil from the cut through the mountains to the dam across the Chagres River. Construction work on the Gaillard Cut is shown in this photograph from 1907. Colonel William C. Gorgas had been appointed chief sanitation officer of the canal construction project in 1904. Gorgas implemented a range of measures to minimize the spread of deadly diseases, particularly yellow fever and malaria, which had recently been shown to be mosquito-borne following the work of Dr. Carlos Finlay and Dr. Walter Reed. Investment was made in extensive sanitation projects, including city water systems, fumigation of buildings, spraying of insect-breeding areas with oil and larvicide, installation of mosquito netting and window screens, and elimination of stagnant water. Despite opposition from the commission (one member said his ideas were barmy), Gorgas persisted, and when Stevens arrived, he threw his weight behind the project. After two years of extensive work, the mosquito-spread diseases were nearly eliminated. Even after all that effort, about 5,600 workers died of disease and accidents during the US construction phase of the canal. In 1905, a US engineering panel was commissioned to review the canal design, which had not been finalized. The panel recommended to President Roosevelt a sea-level canal, as had been attempted by the French. But in 1906 Stevens, who had seen the Chagres in full flood, was summoned to Washington; he declared a sea-level approach to be "an entirely untenable proposition". He argued in favor of a canal using a lock system to raise and lower ships from a large reservoir 85 ft (26 m) above sea level. 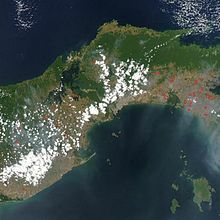 This would create both the largest dam (Gatun Dam) and the largest man-made lake (Gatun Lake) in the world at that time. The water to refill the locks would be taken from Gatun Lake by opening and closing enormous gates and valves and letting gravity propel the water from the lake. Gatun Lake would connect to the Pacific through the mountains at the Gaillard (Culebra) Cut. Stevens successfully convinced Roosevelt of the necessity and feasibility of this alternative scheme. The construction of a canal with locks required the excavation of more than 170,000,000 cu yd (130,000,000 m3) of material over and above the 30,000,000 cu yd (23,000,000 m3) excavated by the French. As quickly as possible, the Americans replaced or upgraded the old, unusable French equipment with new construction equipment that was designed for a much larger and faster scale of work. 102 large, railroad-mounted steam shovels were purchased, 77 from Bucyrus-Erie, and 25 from the Marion Power Shovel Company. These were joined by enormous steam-powered cranes, giant hydraulic rock crushers, concrete mixers, dredges, and pneumatic power drills, nearly all of which were manufactured by new, extensive machine-building technology developed and built in the United States. The railroad also had to be comprehensively upgraded with heavy-duty, double-tracked rails over most of the line to accommodate new rolling stock. In many places, the new Gatun Lake flooded over the original rail line, and a new line had to be constructed above Gatun Lake's waterline. In 1907, Stevens resigned as chief engineer. His replacement, appointed by President Theodore Roosevelt, was US Army Major George Washington Goethals of the US Army Corps of Engineers. 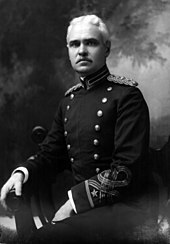 Soon to be promoted to lieutenant colonel and later to general, he was a strong, West Point–trained leader and civil engineer with experience of canals (unlike Stevens). Goethals directed the work in Panama to a successful conclusion in 1914, two years ahead of the target date of June 10, 1916. Goethals divided the engineering and excavation work into three divisions: Atlantic, Central, and Pacific. The Atlantic Division, under Major William L. Sibert, was responsible for construction of the massive breakwater at the entrance to Limon Bay, the Gatun locks, and their 3½ mi (5.6 km) approach channel, and the immense Gatun Dam. The Pacific Division, under Sydney B. Williamson (the only civilian member of this high-level team), was similarly responsible for the Pacific 3 mi (4.8 km) breakwater in Panama Bay, the approach channel to the locks, and the Miraflores and Pedro Miguel locks and their associated dams and reservoirs. On October 10, 1913, President Woodrow Wilson sent a signal from the White House by telegraph which triggered the explosion that destroyed the Gamboa Dike. This flooded the Culebra Cut, thereby joining the Atlantic and Pacific oceans via the Panama Canal. Alexandre La Valley (a floating crane built by Lobnitz & Company and launched in 1887) was the first self-propelled vessel to transit the canal from ocean to ocean. This vessel crossed the canal from the Atlantic in stages during construction, finally reaching the Pacific on January 7, 1914. SS Cristobal (a cargo and passenger ship built by Maryland Steel, and launched in 1902 as SS Tremont) on August 3, 1914 was the first ship to transit the canal from ocean to ocean. The construction of the canal was completed in 1914, 401 years after Panama was first crossed by Vasco Núñez de Balboa. The United States spent almost $500,000,000 (roughly equivalent to $9,169,650,000 now) to finish the project. This was by far the largest American engineering project to date. The canal was formally opened on August 15, 1914, with the passage of the cargo ship SS Ancon. The opening of the Panama Canal in 1914 caused a severe drop in traffic along Chilean ports due to shifts in the maritime trade routes. By the 1930s, water supply became an issue for the canal, prompting construction of the Madden Dam across the Chagres River above Gatun Lake. Completed in 1935, the dam created Madden Lake (later Alajeula Lake), which provides additional water storage for the canal. 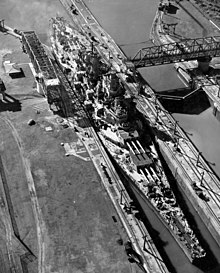 In 1939, construction began on a further major improvement: a new set of locks large enough to carry the larger warships that the United States was building at the time and planned to continue building. The work proceeded for several years, and significant excavation was carried out on the new approach channels, but the project was cancelled after World War II. After World War II, US control of the canal and the Canal Zone surrounding it became contentious; relations between Panama and the United States became increasingly tense. Many Panamanians felt that the Canal Zone rightfully belonged to Panama; student protests were met by the fencing-in of the zone and an increased military presence there. Demands for the United States to hand over the canal to Panama increased after the Suez Crisis in 1956, when the United States used financial and diplomatic pressure to force France and the UK to abandon their attempt to retake control of the Suez Canal, previously nationalized by the Nasser regime in Egypt. Panamanian unrest culminated in riots on Martyr's Day, January 9, 1964, when about 20 Panamanians and 3–5 US soldiers were killed. While globally the Atlantic Ocean is east of the isthmus and the Pacific is west, the general direction of the canal passage from the Atlantic to the Pacific is from northwest to southeast, because of the shape of the isthmus at the point the canal occupies. The Bridge of the Americas (Spanish: Puente de las Américas) at the Pacific side is about a third of a degree east of the Colón end on the Atlantic side. Still, in formal nautical communications, the simplified directions "southbound" and "northbound" are used. From the formal marking line of the Atlantic Entrance, one enters Limón Bay (Bahía Limón), a large natural harbor. The entrance runs 5½ mi (8.4 km). It provides a deepwater port (Cristóbal), with facilities like multimodal cargo exchange (to and from train) and the Colón Free Trade Zone (a free port). A 2 mi (3.2 km) channel forms the approach to the locks from the Atlantic side. The Gatun Locks, a three-stage flight of locks 1¼ mi (1.9 km) long, lifts ships to the Gatun Lake level, some 87 ft (27 m) above sea level. Gatun Lake, an artificial lake formed by the building of the Gatun Dam, carries vessels 15 mi (24 km) across the isthmus. It is the summit canal stretch, fed by the Gatun River and emptied by basic lock operations. From the lake, the Chagres River, a natural waterway enhanced by the damming of Gatun Lake, runs about 5¼ mi (8.5 km). Here the upper Chagres River feeds the high level canal stretch. The Culebra Cut slices 7¾ mi (12.4 km) through the mountain ridge, crosses the continental divide and passes under the Centennial Bridge. The single-stage Pedro Miguel Lock, which is ⅞ mi (1.4 km) long, is the first part of the descent with a lift of 31 ft (9.4 m). The artificial Miraflores Lake 1⅛ mi (1.7 km) long, and 54 ft (16 m) above sea level. The two-stage Miraflores Locks is 1⅛ mi (1.7 km) long, with a total descent of 54 ft (16 m) at mid-tide. From the Miraflores Locks one reaches Balboa harbor, again with multimodal exchange provision (here the railway meets the shipping route again). Nearby is Panama City. From this harbor an entrance/exit channel leads to the Pacific Ocean (Gulf of Panama), 8¼ mi (13.2 km) from the Miraflores Locks, passing under the Bridge of the Americas. Thus, the total length of the canal is 50 miles. Artificially created in 1913 by damming the Chagres River, Gatun Lake is an essential part of the Panama Canal, providing the millions of liters of water necessary to operate the Panama Canal locks each time a ship passes through. At the time it was formed, Gatun Lake was the largest human-made lake in the world. The impassable rainforest around the lake has been the best defense of the Panama Canal. Today these areas remain practically unscathed by human interference and are one of the few accessible areas where various native Central American animal and plant species can be observed undisturbed in their natural habitat. Initially the locks at Gatun were designed to be 28.5 m (94 ft) wide. In 1908, the United States Navy requested that an increased width of at least 36 m (118 ft) to allow the passage of US naval ships. Eventually a compromise was made and the locks were built 33.53 m (110.0 ft) wide. Each lock is 320 m (1,050 ft) long, with the walls ranging in thickness from 15 m (49 ft) at the base to 3 m (9.8 ft) at the top. The central wall between the parallel locks at Gatun is 18 m (59 ft) thick and over 24 m (79 ft) high. The steel lock gates measure an average of 2 m (6.6 ft) thick, 19.5 m (64 ft) wide, and 20 m (66 ft) high. It is the size of the locks, specifically the Pedro Miguel Locks, along with the height of the Bridge of the Americas at Balboa, that determine the Panamax metric and limit the size of ships that may use the canal. The 2006 third set of locks project has created larger locks, allowing bigger ships to transit through deeper and wider channels. The allowed dimensions of ships using these locks increased by 25 percent in length, 51 percent in beam, and 26 percent in draft, as defined by New Panamax metrics. As with a toll road, vessels transiting the canal must pay tolls. Tolls for the canal are set by the Panama Canal Authority and are based on vessel type, size, and the type of cargo. For container ships, the toll is assessed on the ship's capacity expressed in twenty-foot equivalent units (TEUs), one TEU being the size of a standard intermodal shipping container. Effective April 1, 2016, this toll went from US$74 per loaded container to $60 per TEU capacity plus $30 per loaded container for a potential $90 per TEU when the ship is full. A Panamax container ship may carry up to 4,400 TEU. The toll is calculated differently for passenger ships and for container ships carrying no cargo ("in ballast"). As of April 1, 2016[update], the ballast rate is US$60, down from US$65.60 per TEU. Most other types of vessel pay a toll per PC/UMS net ton, in which one "ton" is actually a volume of 100 cubic feet (2.83 m3). (The calculation of tonnage for commercial vessels is quite complex.) As of fiscal year 2016[update], this toll is US$5.25 per ton for the first 10,000 tons, US$5.14 per ton for the next 10,000 tons, and US$5.06 per ton thereafter. As with container ships, reduced tolls are charged for freight ships "in ballast", $4.19, $4.12, $4.05 respectively. The lowest toll ever paid was 36 cents (equivalent to $5.25 in 2018), by American Richard Halliburton who swam the Panama Canal in 1928. Opponents to the 1977 Torrijos-Carter Treaties feared that efficiency and maintenance would suffer following the US withdrawal from the Panama Canal Zone; however, this has been proven not to be the case. Capitalizing on practices developed during the American administration, canal operations are improving under Panamanian control. Canal Waters Time (CWT), the average time it takes a vessel to navigate the canal, including waiting time, is a key measure of efficiency; according to the ACP, since 2000, it has ranged between 20 and 30 hours. The accident rate has also not changed appreciably in the past decade, varying between 10 and 30 accidents each year from about 14,000 total annual transits. An official accident is one in which a formal investigation is requested and conducted. Increasing volumes of imports from Asia, which previously landed on US West Coast ports, are now passing through the canal to the American East Coast. The total number of ocean-going transits increased from 11,725 in 2003 to 13,233 in 2007, falling to 12,855 in 2009. (The canal's fiscal year runs from October through September.) This has been coupled with a steady rise in average ship size and in the numbers of Panamax vessels passing through the canal, so that the total tonnage carried rose from 227.9 million PC/UMS tons in fiscal year 1999 to a then record high of 312.9 million tons in 2007, and falling to 299.1 million tons in 2009. Tonnage for fiscal 2013, 2014 and 2015 was 320.6, 326.8 and 340.8 million PC/UMS tons carried on 13,660, 13,481 and 13,874 transits respectively. The Panama Canal Authority (ACP) has invested nearly US$1 billion in widening and modernizing the canal, with the aim of increasing capacity by 20 percent. The ACP cites a number of major improvements, including the widening and straightening of the Gaillard Cut to reduce restrictions on passing vessels, the deepening of the navigational channel in Gatun Lake to reduce draft restrictions and improve water supply, and the deepening of the Atlantic and Pacific entrances to the canal. This is supported by new equipment, such as a new drill barge and suction dredger, and an increase of the tug boat fleet by 20 percent. In addition, improvements have been made to the canal's operating machinery, including an increased and improved tug locomotive fleet, the replacement of more than 16 km (10 mi) of locomotive track, and new lock machinery controls. Improvements have been made to the traffic management system to allow more efficient control over ships in the canal. These improvements enlarged the capacity from 300 million PCUMS (2008) to 340 PCUMS (2012). These improvements were started before the new locks project, and are complementary to it. Despite having enjoyed a privileged position for many years, the canal is increasingly facing competition from other quarters. Because canal tolls have risen as ships have become larger, some critics have suggested that the Suez Canal is now a viable alternative for cargo en route from Asia to the US East Coast. The Panama Canal, however, continues to serve more than 144 of the world's trade routes and the majority of canal traffic comes from the "all-water route" from Asia to the US East and Gulf Coasts. As a signatory to the United Nations Global Compact and member of the World Business Council for Sustainable Development, the ACP has developed an environmentally and socially sustainable program for expansion, which protects the aquatic and terrestrial resources of the canal watershed. The expansion guarantees the availability and quality of water resources by using water-saving basins at each new lock. These water-saving basins diminish water loss and preserve freshwater resources along the waterway by reusing water from the basins into the locks. Each lock chamber has three water-saving basins, which reuse 60 percent of the water in each transit. There are a total of nine basins for each of the two lock complexes, and a total of 18 basins for the entire project. The mean sea level at the Pacific side is about 20 cm (8 in) higher than that of the Atlantic side due to differences in ocean conditions such as water densities and weather. As demand is rising for efficient global shipping of goods, the canal is positioned to be a significant feature of world shipping for the foreseeable future. However, changes in shipping patterns —particularly the increasing numbers of larger-than-Panamax ships— necessitated changes to the canal for it to retain a significant market share. In 2006 it was anticipated that by 2011, 37 percent of the world's container ships would be too large for the present canal, and hence a failure to expand would result in a significant loss of market share. The maximum sustainable capacity of the original canal, given some relatively minor improvement work, was estimated at 340 million PC/UMS tons per year; it was anticipated that this capacity would be reached between 2009 and 2012. Close to 50 percent of transiting vessels were already using the full width of the locks. An enlargement scheme similar to the 1939 Third Lock Scheme, to allow for a greater number of transits and the ability to handle larger ships, had been under consideration for some time, was approved by the government of Panama, The cost was estimated at US$5.25 billion, and the expansion allowed to double the canal's capacity, allowing more traffic and the passage of longer and wider Post-Panamax ships. The proposal to expand the canal was approved in a national referendum by about 80 percent on October 22, 2006. The canal expansion was built between 2007 and 2016, though completion was originally expected by the end of 2014. Each flight of locks is accompanied by nine water reutilization basins (three per lock chamber), each basin being about 70 m (230 ft) wide, 430 m (1,400 ft) long and 5.50 m (18 ft) deep. These gravity-fed basins allow 60 percent of the water used in each transit to be reused; the new locks consequently use 7 percent less water per transit than each of the existing lock lanes. The deepening of Gatun Lake and the raising of its maximum water level also provide capacity for significantly more water storage. These measures are intended to allow the expanded canal to operate without constructing new reservoirs. It was announced in July 2009 that the Belgian dredging company Jan De Nul, together with a consortium of contractors consisting of the Spanish Sacyr Vallehermoso, the Italian Impregilo, and the Panamanian company Grupo Cusa, had been awarded the contract to build the six new locks for US$3.1 billion, which was one billion less than the next highest competing bid due to having a concrete budget 71 percent smaller than that of the next bidder and allotted roughly 25 percent less for steel to reinforce that concrete. The contract resulted in $100 million in dredging works over the next few years for the Belgian company and a great deal of work for its construction division. The design of the locks is a carbon copy of the Berendrecht Lock, which is 68 m wide and 500 m long, making it the second largest lock in the world after the Kieldrecht lock in the port of Antwerp, Belgium. Completed in 1989 by the Port of Antwerp, which De Nul helped build, the company still has engineers and specialists who were part of that project. On July 7, 2014, Wang Jing, chairman of the HK Nicaragua Canal Development Investment Co. Ltd. (HKND Group) advised that a route for Nicaragua's proposed canal had been approved. The construction work was projected by HKND to begin in 2014 and take 5 years., although there has been little progress whilst a series of environmental impact assessments are being made. The Nicaraguan parliament has approved plans for the 280 km (174 mi) canal through Nicaragua, and according to the deal, the company will be responsible for operating and maintaining the canal for a 50-year period. The government of Nicaragua hopes this will boost the economy; the opposition is concerned with its environmental impact. According to the independent impact assessment by British firm ERM, some 30,000 local residents will be displaced by the canal, although opposition leaders and Amnesty International claim the figure will be in the hundreds of thousands. Supporters and the environmental impact study claim there will be net environmental benefits, but critics argue that nearly a million acres of delicate ecosystems will be destroyed by the time construction is completed. During the last one hundred years, the Panama Canal Authority has appointed a few "Panama Canal Honorary Pilots". The most recent of these were Commodore Ronald Warwick, a former Master of the Cunard Liners SS Queen Elizabeth 2 and RMS Queen Mary 2, who has traversed the Canal more than 50 times, and Captain Raffaele Minotauro, an Unlimited Master Senior Grade, of the former Italian governmental navigation company known as the "Italian Line". This service can be requested from the Panama canal authority at any time who will consider each request. ^ a b c Zamorano, Juan; Martinez, Kathia (June 26, 2016). "Panama Canal opens $5B locks, bullish despite shipping woes". The Big Story. Associated Press. Retrieved March 6, 2017. ^ "Panama Canal Traffic—Years 1914–2010". Panama Canal Authority. Retrieved 2011-01-25. ^ "Annual Report 2017". Panama Canal Authority. Archived from the original (PDF) on 2010-08-02. Retrieved 2018-03-13. ^ "Seven Wonders". American Society of Civil Engineers. Archived from the original on 2010-08-02. Retrieved 2011-02-21. ^ James Rodger Fleming (1990). Meteorology in America, 1800–1870. Johns Hopkins University Press. p. 4. ISBN 0801839580. ^ "Darien Expedition". Retrieved 2007-09-03. ^ Stiles, T.J. (2009). The First Tycoon: The Epic Life of Cornelius Vanderbilt. Knopf. ISBN 9780375415425. ^ The Practicability and Importance of a Ship Canal to Connect the Atlantic and Pacific Oceans. ^ McCullough 1977, pp. 58–59. ^ McCullough 1977, p. 125. ^ McCullough 1977, pp. 103–123. ^ a b c Avery, Ralph E. (1913). "The French Failure". America's Triumph in Panama. Chicago, IL: L.W. Walter Company. ^ Rocco, Fiammetta (2003). The Miraculous Fever-Tree. HarperCollins. p. 192. ISBN 0-00-653235-7. ^ "The Panama Canal: Explorers, pirates, scientists and engineers – University of Michigan News". umich.edu. ^ Keith Haddock. Giant Earthmovers : An Illustrated History. MotorBooks International. pp. 173–174. ISBN 978-1-61060-586-1. ^ "Read our history: The French Canal Construction". Panama Canal Authority. Retrieved 2007-09-03. ^ Cadbury 2003, p. 262. ^ McCullough 1977, p. 224. ^ Cadbury 2003, p. 261. ^ McCullough 1977, pp. 305–328. ^ "Hay-Herrán Treaty". U-s-history.com. 1903-11-18. Retrieved 2010-10-24. ^ Livingstone, Grace (2009). America's Backyard : The United States and Latin America from the Monroe Doctrine to the War on Terror. London: Zed. p. 13. ISBN 9781848132146. ^ McCullough 1977, pp. 361–386. ^ "Avalon Project—Convention for the Construction of a Ship Canal (Hay-Bunau-Varilla Treaty), November 18, 1903". Avalon.law.yale.edu. Retrieved 2010-10-24. ^ "September 07, 1977 : Panama to control canal". History.com. 2010. Archived from the original on 2015-04-10. Retrieved Apr 4, 2015. ^ Lowe, Vaughan. International Law. Oxford University Press. p. 66. Retrieved Apr 4, 2015. ^ Hanson, David C. "Theodore Roosevelt and the Panama Canal" (PDF). Virginia Western Community College. Archived from the original (PDF) on 1 February 2014. Retrieved 21 January 2014. ^ McCullough 1977, pp. 273–274. ^ McCullough 1977, p. 440. ^ McCullough 1977, p. 457. ^ McCullough 1977, pp. 459–462. ^ McCullough 1977, pp. 405–426. ^ McCullough 1977, pp. 466–468. ^ McCullough 1977, pp. 485–489. ^ McCullough 1977, pp. 503–508. ^ McCullough 1977, pp. 540–542. ^ "Wilson blows up last big barrier in Panama Canal". Chicago Tribune. Chicago. 1913-10-11. p. 1. Retrieved 2015-11-24. ^ McCullough 1977, p. 607. ^ McCullough 1977, p. 609. ^ "Read our history: American Canal Construction". Panama Canal Authority. Retrieved 2007-09-03. ^ Figueroa, Victor; Gayoso, Jorge; Oyarzun, Edgardo; Planas, Lenia. "Investigación aplicada sobre Geografía Urbana: Un caso práctico en la ciudad de Valdivia" Archived 2014-10-25 at the Wayback Machine. Gestion Turistica, UACh. ^ "Enlarging the Panama Canal". czbrats.com. ^ "Presentation on the Third Locks Project – Panama Canal Zone". czimages.com. ^ "A plan to unlock prosperity". The Economist. Dec 3, 2009. ^ a b "Panama Canal Traffic—Fiscal Years 2002–2004" (PDF). Panama Canal Authority. Archived from the original (PDF) on 2005-12-01. Retrieved 2007-09-03. ^ "Historical Map & Chart Project". NOAA. Archived from the original on 2007-09-05. Retrieved 2007-09-03. ^ Zaret, Thomas M.; Paine, R.T. (2 November 1973). "Species Introduction in a Tropical Lake". Science. 182 (4111): 449–455. Bibcode:1973Sci...182..449Z. doi:10.1126/science.182.4111.449. PMID 17832455. ^ "Peacock Bass: Fun to Catch, Fine to Eat". Panama Canal Review. February 1971: 11. Retrieved 2012-04-30. ^ "Gatun Lake Peacock Bass Fishing Charters". Retrieved 2012-04-30. ^ "The Panama Canal". Retrieved 2007-10-18. ^ "New Panamax publication by ACP" (PDF). November 2006. Retrieved 2010-10-24. ^ "Marine Tariff". Panama Canal Authority. ^ "US Today Travel: Panama Canal Facts". USA Today. Retrieved 2012-08-03. ^ "ACP rectifica récord en pago de peaje" (in Spanish). La Prensa. 2008-06-24. Retrieved 2009-08-08. ^ "Récord en pago de peajes y reserva". La Prensa Sección Economía & Negocios Edition. Ediciones.prensa.com. 2007-04-24. Retrieved 2009-07-13. ^ "Cupo de subasta del Canal alcanza récord. La Prensa. Sección Economía & Negocios. Edición 25 August 2006 in Spanish". Mensual.prensa.com. Archived from the original on 3 August 2009. Retrieved 2009-07-13. ^ "About ACP - PanCanal.com". Panama Canal Authority. Retrieved 8 October 2014. ^ Cullen, Bob (March 2004). "Panama Rises". Smithsonian Magazine. Smithsonian Institution. Archived from the original on 2012-09-13. Retrieved 2012-04-30. ^ "ACP 2005 Annual Report" (PDF). Panama Canal Authority. 2005. Retrieved 2010-07-09. 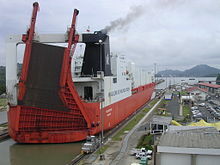 ^ "News—PanCanal.com; Panama Canal Authority Announces Fiscal Year 2008 Metrics". Panama Canal Authority. 2008-10-24. Retrieved 2010-07-09. 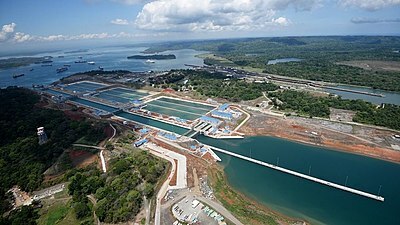 ^ "News—PanCanal.com; Panama Canal Authority Announces Fiscal Year 2009 Metrics". Panama Canal Authority. 2009-10-30. Retrieved 2010-07-09. ^ Lipton, Eric (2004-11-22). "New York Port Hums Again, With Asian Trade". New York Times. Archived from the original on 2005-03-07. ^ a b "ACP 2009 Annual Report" (PDF). Panama Canal Authority. 2009. Retrieved 2010-07-09. ^ Nettleton, Steve (2000). "Transfer heavy on symbolism, light on change". CNN Interactive. Archived from the original on December 18, 2008. ^ "9 Facts about the Panama Canal Expansion – Infographic". Mercatrade. Archived from the original on 20 October 2014. Retrieved 28 October 2014. ^ "The Press Association: Panama flooding displaces thousands". 2010-12-12. Retrieved 2010-12-12. ^ "NOTICIAS PANAMÁ—PERIÓDICO LA ESTRELLA ONLINE: Gobierno abrirá parcialmente Puente Centenario; Corredores serán gratis [Al Minuto]". 2010-12-13. Archived from the original on 2010-12-16. Retrieved 2010-12-13. ^ "Rain Causes Panama Canal Bridge To Collapse". digtriad.com. 2010-12-12. Archived from the original on 2013-05-01. Retrieved 2012-07-08. ^ "Entrance to Panama Canal Bridge Closed due to Rain Damage". 2010-12-13. Retrieved 2010-12-13. ^ "Aftermath of Panama flooding hits transport and finances—rain continues". 2010-12-13. Archived from the original on 2010-12-16. Retrieved 2010-12-13. ^ Mack, Gerstle (1944). The Land Divided—A History of the Panama Canal and other Isthmian Canal Projects. ^ Jackson, Eric (2007). Shipping industry complains about PanCanal toll hikes. Archived from the original on 2010-04-18. ^ "Maersk Line to Dump Panama Canal for Suez as Ships Get Bigger". 2013-05-11. Retrieved 2013-12-24. ^ De Cordoba, Jose (June 13, 2013). "Nicaragua Revives Its Canal Dream". Wall Street Journal. ^ Sevunts, Levon (2005-06-12). "Northwest Passage redux". The Washington Times. Retrieved 2009-04-20. See also: Comte, Michel (2005-12-22). "Conservative Leader Harper Asserts Canada's Arctic Claims". DefenceNews.com (Agence France-Presse). Retrieved 2006-02-23. ^ "The Panama Canal; Canal FAQ". Archived from the original on 2010-09-15. ^ "The Panama Canal—Frequently Asked Questions". Archived from the original on May 7, 2009. Each lock chamber requires 101,000 m3 (26,700,000 US gal; 22,200,000 imp gal) of water. An average of 200,000,000 L (52,000,000 US gal) of fresh water are used [in a single passing]. ^ Alarcón, Luis F.; Ashley, David B.; Sucre de Hanily, Angelique; Molenaar, Keith R.; Ungo, Ricardo (October 2011). "Risk Planning and Management for the Panama Canal Expansion Program". Journal of Construction Engineering and Management. 137 (10): 762–771. ^ a b "Relevant Information on the Third Set of Locks Project" (PDF). Panama Canal Authority. 2006-04-24. Archived from the original (PDF) on 2006-05-24. Retrieved 2006-04-25. ^ "The Panama Canal". Business in Panama. Archived from the original on 2007-09-27. Retrieved 2007-09-03. ^ Monahan, Jane (2006-04-04). "Panama Canal set for $7.5bn revamp". BBC News. ^ "Panama Canal Authority: Panama Canal Expansion is "2009 Project Finance Deal of the Year", 12 March 2010". Pancanal.com. 2010-03-12. Retrieved 2010-10-24. ^ "Panama approves $5.25 billion canal expansion". MSNBC.com. 2006-10-22. ^ Reagan, Brad (February 2007). "The Panama Canal's Ultimate Upgrade". Popular Mechanics. Archived from the original on 2007-02-06. ^ Kaufman, Andrew (February 2010). "The Panama Canal Gets a New Lane". Popular Mechanics. Archived from the original on 2010-02-06. ^ "Work starts on biggest-ever Panama Canal overhaul". Reuters. 2007-09-04. ^ Panama Canal Authority (19 June 2012). "Panama Canal Completes First Monolith at the New Pacific Locks". Retrieved 2012-06-20. ^ Ship and Bunker (2 July 2012). "Delay Confirmed on Panama Canal Expansion Project". Retrieved 2012-07-07. ^ Dredging News Online (29 August 2014). "Panama Canal Authority updates Maersk Line on expansion programme". Dredging News Online. Retrieved 2 September 2014. ^ Dredging News Online (1 September 2014). "Panama Canal Authority updates Maersk Line on expansion programme". Hellenic Shipping News. Archived from the original on 27 October 2014. Retrieved 2 September 2014. ^ Panama Canal Authority (20 August 2014). "Panama Canal Updates Maersk Line on Expansion Program". Retrieved 3 September 2014. ^ Smith, Bruce (9 Sep 2014). "Maritime panel to hold sessions on port congestion". Charlotte Observer. Archived from the original on 2014-09-11. Retrieved 11 Sep 2014. ^ "De Nul dredging company to build locks in Panama Canal". Flanders Today. 2009-07-17. Archived from the original on 2015-09-04. ^ "Contract dispute jeopardizes Panama Canal schedule". American Shipper. January 2, 2014. Retrieved 10 January 2014. ^ Lomi Kriel; Elida Moreno (January 8, 2014). "Panama Canal refuses to pay $1 billion more for expansion work". Reuters. Retrieved 10 January 2014. ^ Panama Canal Authority (20 February 2014). "Panama Canal New Locks Project Works Resume". Retrieved 2014-06-16. ^ Panama Canal Authority (10 June 2014). "Second Shipment of new gates arrive at the Panama Canal". Retrieved 2014-06-16. ^ Panama Canal Authority (11 June 2015). "Panama Canal Expansion Begins Filling of New Locks". Archived from the original on 14 June 2015. Retrieved 12 June 2015. ^ Stone, Kathryn (10 June 2015). "Flooding of Expanded Panama Canal Begins". The Maritime Executive. ^ Panama Canal Authority (22 June 2015). "Panama Canal Expansion Moves Ahead with Filling of New Pacific Locks". Archived from the original on 2 July 2015. Retrieved 1 July 2015. ^ Panama Canal Authority (23 March 2016). "Panama Canal Inaugurates Scale Model Training Facility, Announces Expansion Inauguration Date". Retrieved 4 April 2016. ^ WALT BOGDANICH, JACQUELINE WILLIAMS and ANA GRACIELA MÉNDEZ (JUNE 22, 2016) The New Panama Canal: A Risky Bet The New York Times, Retrieved 24 June 2016. ^ John Paul Rathbone, Naomi Mapstone (2011-02-13). "China in talks over Panama Canal rival". Financial Times. Retrieved 2011-02-14. ^ Wheatley, Jonathan (2011-02-14). "Colombia's smart canal". Financial Times. Retrieved 2011-02-14. ^ "China in talk with Columbia over transcontinental railway: Colombian president". Xinhuanet. 2011-02-14. Retrieved 2011-02-14. ^ Branigan, Tania and Lin Yi. China goes on the rails to rival Panama canal The Guardian, 14 February 2011. Accessed: 14 February 2011. ^ "Nicaragua launches construction of inter-oceanic canal". BBC. December 23, 2014. Retrieved January 9, 2015. ^ a b c "Can a coast-to-coast canal solve Nicaragua's poverty problem?". Thomson Reuters Foundation News. 1 December 2017. Retrieved 1 December 2017. ^ "A Chinese company wants to build a new canal in America (news in Estonian)". Postimees. 15 June 2013. Retrieved 1 December 2017. ^ Shaer, Matthew. "A New Canal Through Central America Could Have Devastating Consequences". smithsonianmag.com. ^ Van Marle, Gavin (July 2013). "Canal mania hits central America with three more Atlantic-Pacific projects". The Load Star. ^ "Buckingham First Day Covers". Internet Stamps Group Limited. Retrieved 8 October 2014. This page was last edited on 19 April 2019, at 23:17 (UTC).